Harris County, TX: Cypress Creek EMS, Spring FD, Ponderosa FD and the Harris County PCT 4 Constables Office were dispatched to the intersection of FM 2920 near Falvel Road Sunday evening. Fire department units arrived on the scene to find 3 vehicles in the intersection with major damage. Moments later radio reports stated there was a death on scene. 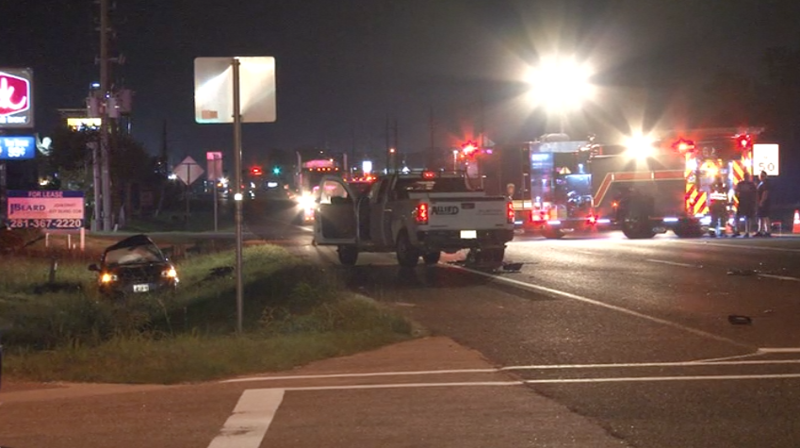 Investigators say that Alejandro Lozano was driving in the eastbound lanes of FM 2920 when he ran a red light and struck a 2008 Chevrolet vehicle killing the driver. Lozano admitted to deputies that he had been drinking alcohol and also showed signs of intoxication. Lozano was placed in custody at which time he refused the field sobriety test. The Harris County DA accepted the charges and Lozano was placed in the Harris County Jail with a bond set to $30,000. Intoxication manslaughter, also a second-degree felony, carries a punishment range of two to 20 years in prison. Lozano’s next court appearance is scheduled for September 23rd.